I couldn’t be happier in my new role"
Is your life passion a love for children? Are you looking for a flexible work schedule with hours and locations YOU decide? 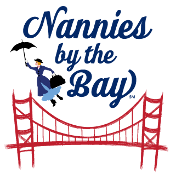 Becoming a nanny with Nannies by the Bay, is perfect for you! As a Nannies by the Bay, ChildCare Specialist, we work to find you the perfect job and nanny family, based on your availability, current goals, and needs. Full Time or Part Time! Be authorized to work in the U.S. Hourly wages depend on your personal experience and the requirements of the family for whom you are working. If you believe you meet the above requirements and can serve as a caring and dependable resource for families, we’d love to have you join our team. If you meet or surpass the required qualifications, you may apply with Nannies By the Bay by either: completing the online registration by clicking this link, or sending us your resume: via email to nanniesbythebay@gmail.com. The information you provide on the form will be used to determine your eligibility for our positions.